In addition to their busy schedule of weddings, Groove Knight provides the perfect entertainment for corporate and charity events. 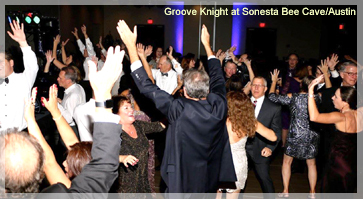 From small school fundraisers all the way to Southwest Airlines' 40th Anniversary party, Groove Knight has had them all dancing! 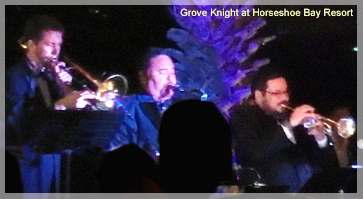 Groove Knight offers a wide range of options from the standard 5-piece band for those smaller intimate events, up to the incredible 10-piece with our full horn section and four singers for the ultimate in variety. All options include our high energy core band and feature both male and female lead singers – singers with the most extraordinary voices that sound just like the original artists! 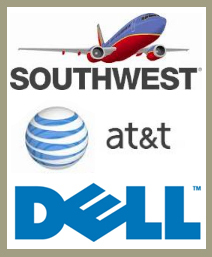 With Groove Knight you will not only get the best talent in Texas, but also the professionalism and reliability that go above and beyond. We take the time in advance to be sure we understand how you'd like the event to flow, and coordinate with the venue to assure everything goes smoothly on the big day. All Groove Knight musicians arrive on time, dress appropriately, and are courteous and professional. Groove Knight pays scrupulous attention to every detail, always staying focused on the needs of your event. Onstage, the music of Groove Knight creates an atmosphere that is both elegant and fun! With Groove Knight's extensive experience, you can be assured of a worry-free, successful event that you'll remember forever. Everyone will want to know "Where did you find that great band?!"